We're quickly approaching the ever popular Dr. Seuss birthday week! 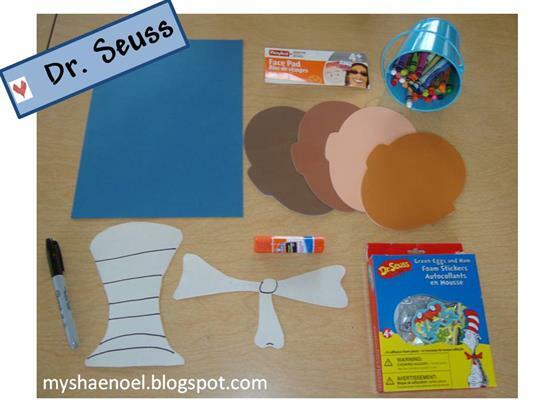 To celebrate with your kiddos, try out this super cute Cat in the Hat craft featured by Shauna over at Learn and Grow Designs. The craft will give your students the chance to turn themselves into the Cat in the Hat - one of Dr. Seuss' most beloved characters! Provide each of your kiddos with a blue piece of construction paper, along with a pre-traced hat and bow tie on white paper and a head on multicultural paper. 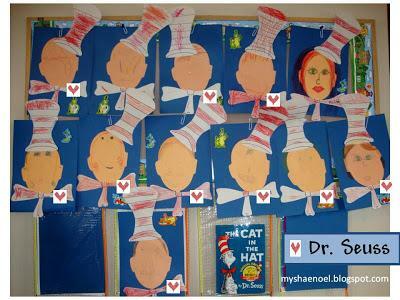 Then have them create their faces, color in the hat and bow tie, cut the pieces out and use their glue sticks to assemble. Easy peasy! 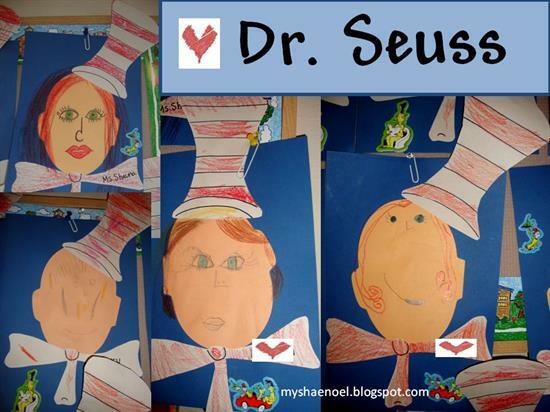 Hang their completed works of art on your classroom bulletin board or around your room for a festive Dr. Seuss display! When you're finished crafting, be sure to check out Learn and Grow Designs for additional ideas!